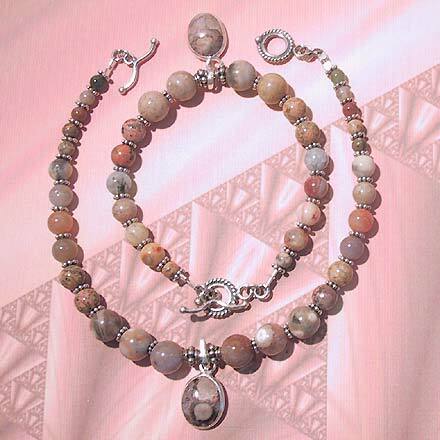 Sterling Silver Assorted Jasper Anklet (outer) and Bracelet (inner). The anklet is 9¼" and the bracelet is 7.1". Both anklet and pendant have a fun little dangling Jasper stone too.